Now that the winter is here there’s plenty to do and prepare for all that cold! Doing winter shopping, buying a Christmas tree and organizing everything to get the most pleasant time around holidays is probably the most beautiful part of the year. Unfortunately, it’s not all fun and games when it comes to winter-time. Apart from decorating your Christmas tree and preparing yourself for caroling, you need to think of practical things. I am talking about things like preparing your car for the cold, freezing weather. As your main mean of transportation, you should place car preparation for winter at the top of your winter-to do list. Getting your car checked and repaired if needed is something every conscious driver should do. Do you really want your vehicle to break down in cold, harsh winter weather every now and then? Of course not. During any temperature drop, a vehicle gets sensible to changes. To avoid inconveniences, invest into a car checkup. This way you will not only have a safe car but will also avoid unexpected expense of emergency repairs. 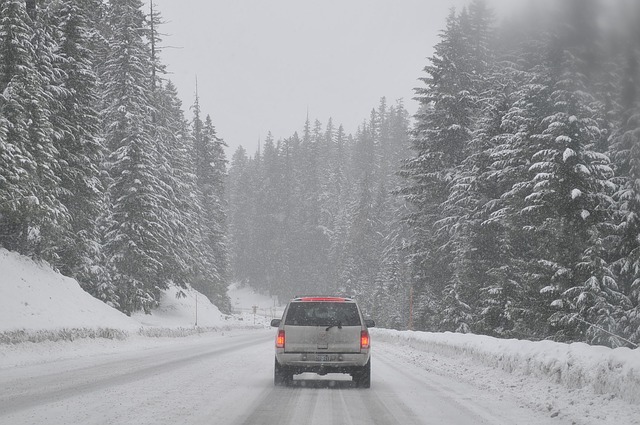 The following nine steps are proper recommendation for winterizing your vehicle. Cold weather is hard on batteries so it’s of utmost importance to have the battery and charging system checked for optimum performance. Trust your mechanic with this chore. Also, put new antifreeze in the cooling system. This should be done every two years, especially during winter time. Have the exhaust system checked for carbon monoxide leaks. Carbon monoxide leaks can be especially dangerous during cold weather driving when windows are closed. Since winter is the coldest time in the year, vehicles generally get more sensitive to weather changes. This is why you need to have heaters, defrosters and wipers checked and make sure they all work properly. Usually, it is advised to have wiper blades replaced every six months. During cold winter days they get worn out and need replacing once the warmer weather gets into town. Plus, you need to have proper chemicals for windshield and wiper blades, something that will preserve and protect them from breaking in the cold. There are recommended intervals for changing the oil and filter and you should consult with your mechanic how often these should take place. Anyhow, be diligent about this routine as it will save your car from unexpected breaking. If you live in a cold climate, consider changing to “winter weight” oil and know that dirty oil can spell trouble in winter. Have your technician check the transmission filters, fuel and air at the same time. Winter time is that time of year when taking all the necessary precaution is more than welcome. Roads are slippery and you can never predict what’s going to happen. Therefore, as a responsible driver, your duty is to be prepared for any sort of potential trouble. Hence, have your breaks checked. Know that the vehicle’s most important safety item is the braking system so take proper care of it. During winter, days get shorter and it’s already dark at around 3 or 4 pm. Not to mention all the fog that’s not only spooky but such a safety hazard for all the drivers. This is why you should have both exterior and interior lights checked. Make sure they work and that headlights are properly aimed. Tires are your vehicle’s principal connection to the road. If they are not maintained properly, know that you aren’t safe. Being a responsible driver that you are, you should have tires checked regularly – have the tire tread depth and tire pressure checked at your technician’s. Consider special tires designed to grip slick roads in case the snow and ice are a problem. During winter, tire pressure should be checked weekly. Don’t be cheap when it comes to maintaining “health” of your tires – buy falcon tyres of high quality and keep your safety in check. It’s best to do all winter check-ups before winter sets in. Winter is known to magnify existing problems such as hard starts, pings, sluggish performance or rough idling. Further, if you do everything in time, you’ll save yourself the trouble of waiting for days for an appointments at your technician’s – holidays are after all the craziest and most hectic time of the year.